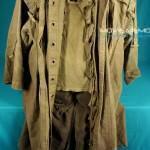 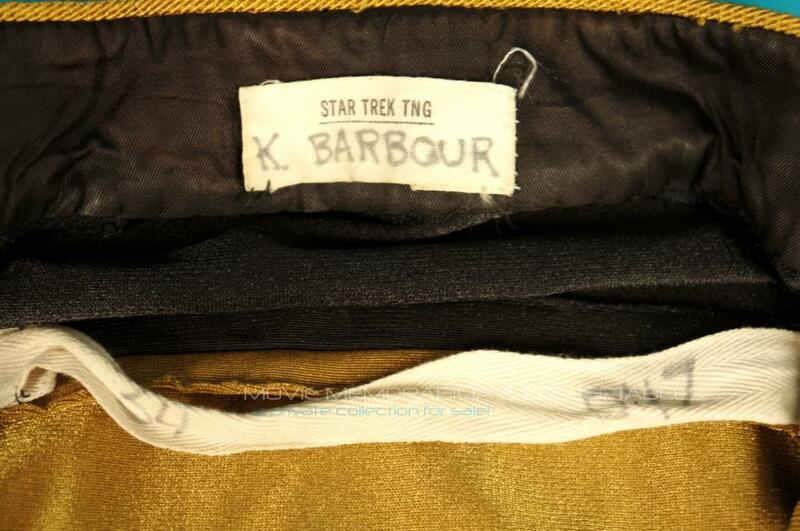 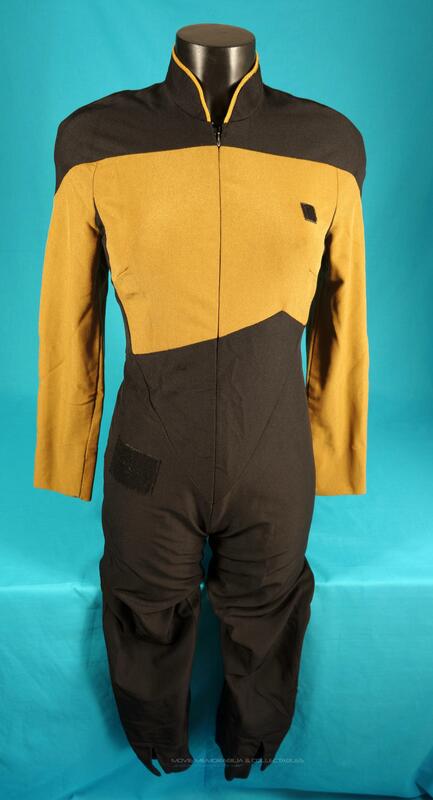 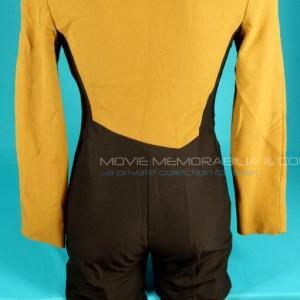 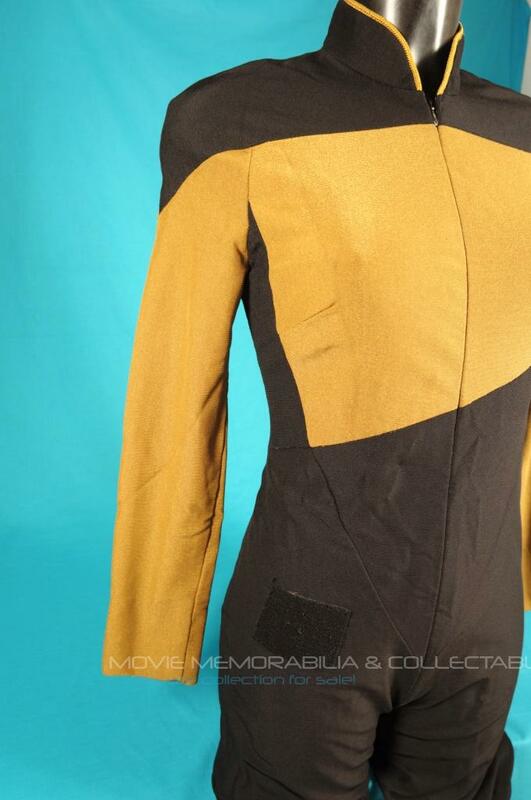 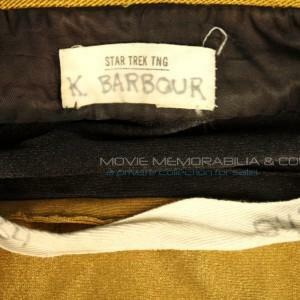 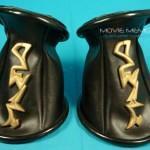 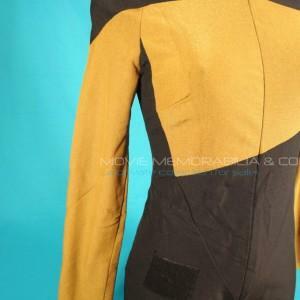 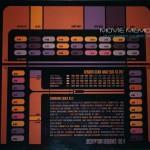 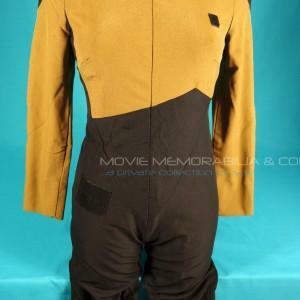 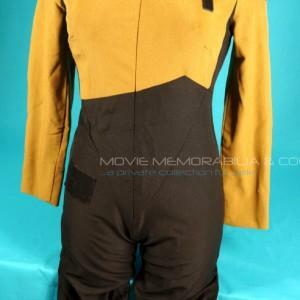 A Star Trek TNG female Command Gold Starfleet uniform made for wear during the series “The Next Generation”. 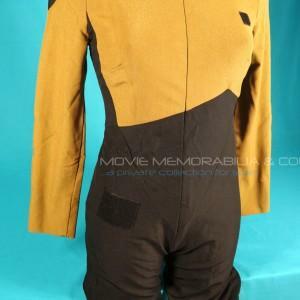 The jumpsuit is black with Command gold sleeves and upper torso. 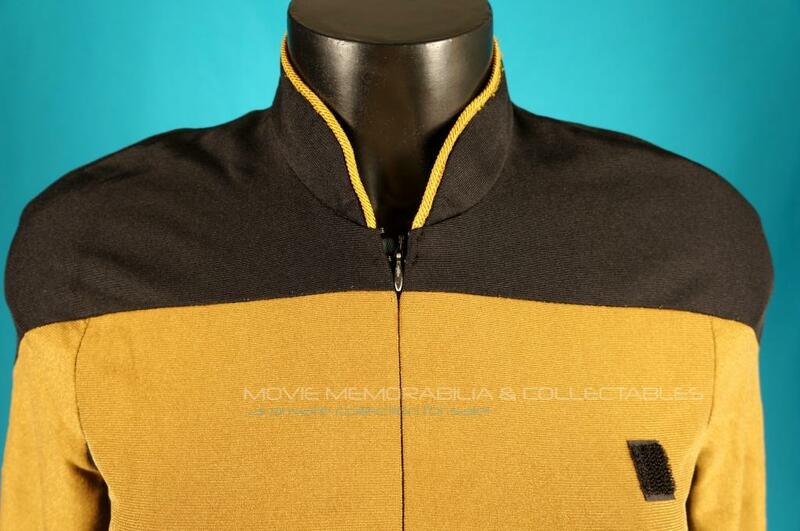 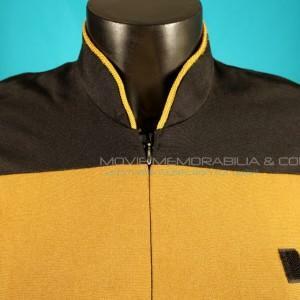 There is red trim around the collar, a small velcro patch on the left breast for a Combadge (not included) to attach and a zip up the front (See the screen shots for reference).